Linda Gooch has worked as a physiotherapist for thirty years and as a Feldenkrais practitioner for twenty years. She uses both disciplines to assess and provide a treatment programme specific to each individual in relation to their current movement difficulties. The initial appointment is generally used as an assessment and diagnosis in order to pinpoint the movement, pain and injury problems to improve the effectiveness of treatment using the Feldenkrais Method movements. Each session is individual and is usually 45 to 55 minutes long. These sessions are currently available Tuesday, Friday and Saturday. 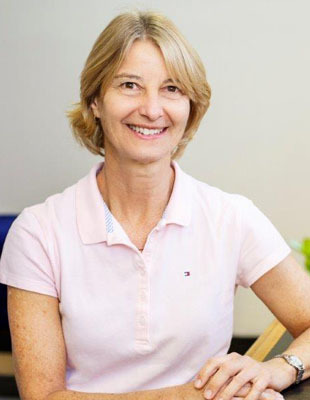 Linda has been working within the Perth Naturopathic and Herbal Clinic since 2011. The Feldenkrais Method is suitable for all ages – babies, children, teenagers, adults and the elderly. It helps improve movement with ease, can reduce pain and discomfort and can reduce feelings of anxiety, stress, and tension. By learning how to move more clearly without guarding or old habits you can improve flexibility and strength and your sense of well-being. The Feldenkrais method encourages learning (and change) through enlivening your senses of movement so you know more clearly how you move and what you do when you are still. It helps you learn to listen to your body. From this base of learning many new ways of doing and being become possible. Norman Doidge, author of “The Brain’s Way of Healing” notes that Feldenkrais is a primary example of neuroplasticity – the ability for the nervous system to learn and change after injury and throughout life. The Feldenkrais method can benefit performance in Musicians, Athletes, Voice and singing, Sports people Artists, Dancers and everyday activities. Movement classes or Awareness Through Movement Classes (ATM classes) are not available at this centre yet, but may become available later. See www.wa.feldenkrais.org.au or ring 1800 001 550 for the location of Feldenkrais Practitioners in Western Australia who are currently running ATM classes.